In an ancient country Anangu are the custodians of Uluru and Kata Tjuta. This has been the way for thousands of generations. But as the twentieth century wore on their heritage and way of life was disrupted by the arrival of more and more Piranpa (the Anangu name for white people). Slowly their land was taken from them and their sacred traditions were ignored. But after traditional owners were dispossessed of Uluru and Kata-Tjuta, they fought back to reclaim their rights, their traditions and their land. This led to a symbolic moment in Australian history 30 years ago. This is their journey to handback. The Canberra Times reported on the Uluru in 1979 claiming Aboriginal ownership of Uluru (Ayers Rock-Mt Olga) National Park seems likely to be recognised by the Federal and Northern Territory Governments. Wave Hill Station is located approximately 600 kilometres south of Darwin in the Northern Territory. Vesteys, a British pastoral company which ran the cattle station, employed local Aboriginal people, mostly Gurindji. Working and living conditions for Aboriginal people were very poor. The wages of Aboriginal workers generally were controlled and not equal to those paid to non-Aboriginal employees. In 1968, after the recommendations of the Parliamentary Committee inquiry conducted in response to the Yirrkala bark petitions were not implemented, the Yolngu People from Yirrkala in north-east Arnhem Land took their case to the Northern Territory Supreme Court. This was the first litigation in Australia on native title. Page 4. The Central Land Council has developed this resource with an aim to communicate Land Rights is simple terms. ​The Tribunal provides maps on a national, state, territory and regional level. Aboriginal peoples and Torres Strait Islanders were the inhabitants of Australia before European settlement. They have been progressively dispossessed of their lands. This dispossession occurred largely without compensation, and successive governments have failed to reach a lasting and equitable agreement with Aboriginal peoples and Torres Strait Islanders concerning the use of their lands. As a consequence, Aboriginal peoples and Torres Strait Islanders have become, as a group, the most disadvantaged in Australian society. The Australian Government has acted to protect the rights of all of its citizens, and in particular its indigenous peoples, by recognising international standards for the protection of universal human rights and fundamental freedoms. The High Court has rejected the Terra Nullius doctrine and held that common law reflects a form of native title. Refer to the Federal Register of Legislation on Native Title (below) for more information. Federal Court of Australia offers a library of video and audio of judgment summaries over the Internet. The landmark Mabo Case and subsequent Native Title Act promised a lot for Aboriginal people. Many saw it as the final recognition that the Australian nation always was Aboriginal country and that Aboriginal people had distinct governing laws and traditions. In this clip, listen to the opinions of key players in the struggle for native title as they reflect on the success of Mabo twenty years later. This clip is last in a series of six. As we celebrate 25 years since the Mabo decision, we take a look at some of the key facts from this significant milestone in our history. QC John Mansfield writes about the development of Indigenous Land Rights from Captain Cook first planting the British flag on Australian soil to the present day. Terra nullius is a Latin term meaning no one's land. The doctrine was an extension of the Roman private law formula of res nullius. The doctrine of peaceful occupation or settlement was thought to have provided the basis in international law for the progressive appropriation of the Australian continent by the British government. The painted designs proclaim Yolngu law, depicting the traditional relations to land and the typed text is in English and Gumatj languages. 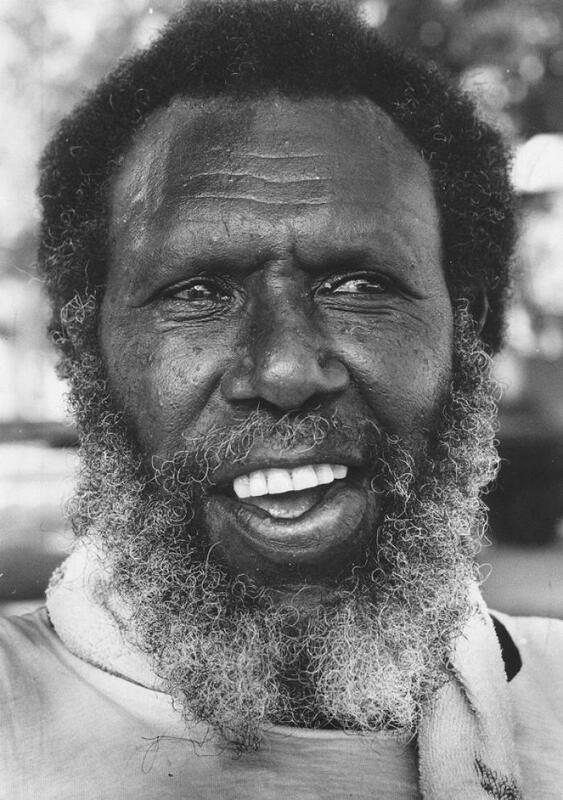 Eddie Mabo of Mer island in the Torres Strait spent a decade seeking official recognition of his people’s ownership of Mer and on 3 June 1992, the High Court of Australia agreed, rejecting the doctrine that Australia was terra nullius (land belonging to no-one) at the time of European settlement. 1. On the assumption that Aboriginal and Torres Strait Islander peoples had no concept of land ownership before the arrival of British colonisers in 1788 (terra nullius). 2. That sovereignty delivered complete ownership of all land in the new Colony to the Crown, abolishing any existing rights that may have existed previously. Mabo - The Native Title Revolution delves into the Mabo legal case and the important issues it raises for Australians and indigenous peoples everywhere. It gives an overview of the case and provides an insight into both the man at its centre, Eddie "Koiki" Mabo, and Torres Strait Islander culture. High Court overturns 200 years of common law with the Mabo v Queensland (No 2) (1992) case. Facts of the case are provided on this site.